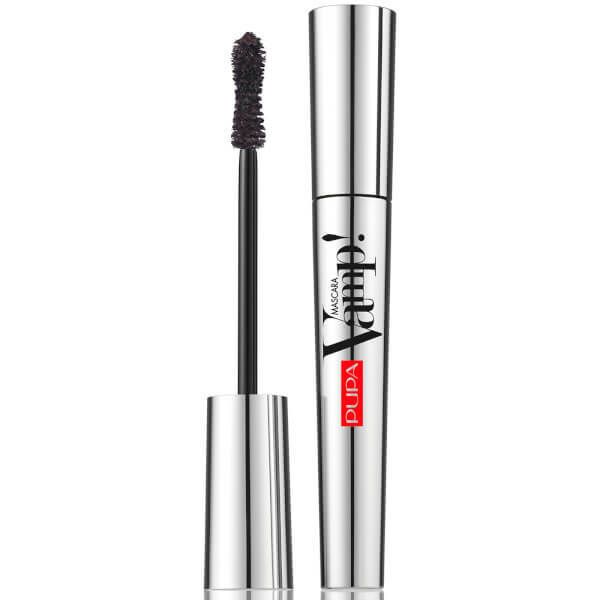 Achieve unbeatable volume with PUPA Vamp! Mascara; a thickening, high-performance formula that delivers high definition lashes. Enriched with an array of waxes, the smudge-proof mascara boasts a creamy formula that coats each individual lash, whilst a special filming agent offers strong yet flexible hold. The built-in applicator is designed in an intelligent sinuous shape with soft and dense fibers. This allows for the ideal dose of mascara to create exaggerated and volumised lashes. The round tip allows you to target the shortest and most difficult to reach eyelashes, ensuring each hair is coated for the fullest results. Thanks to the immediate product release and to its rich and creamy formula Vamp! immediately gives an oversize volume to your lashes! To enhance them to their maximum, we suggest to apply mascara over and over again, going from one eye to the other, until you get the volume you are looking for. For that final touch, use the tip of the applicator vertically.